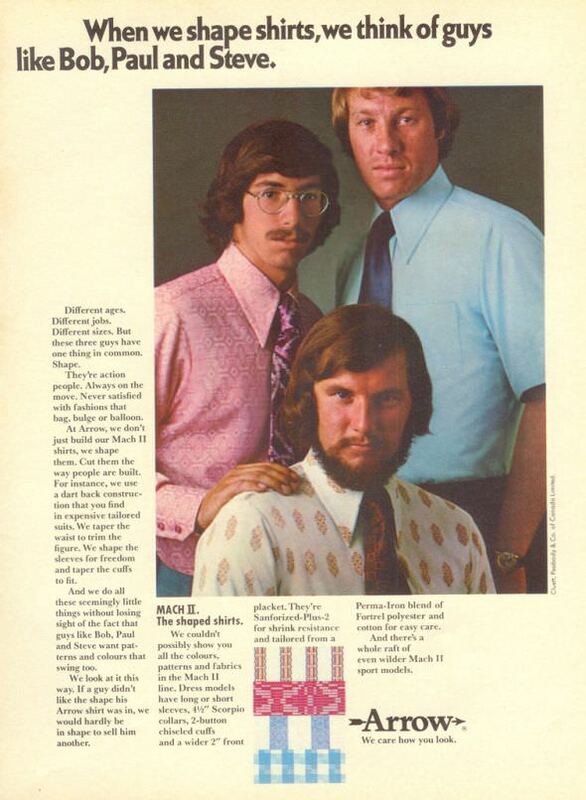 We think we have some bad adverts today, but wait until you see these vintage commercial ads. Some of them are strange, some are offensive and some are just completely wrong! One thing’s for sure- you would never want to buy any of these products today based on the advert! I don’t know anyone who would want to eat these sausages after seeing this advert. 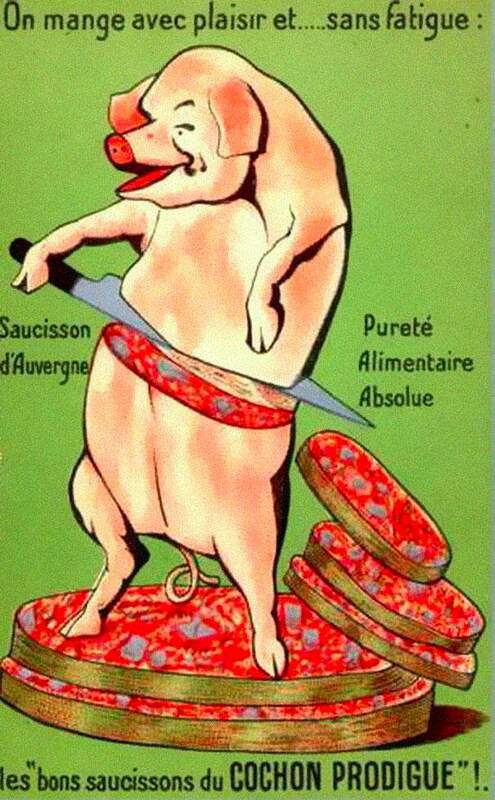 Even though the pig looks happy about it, it’s enough to put you off meat! 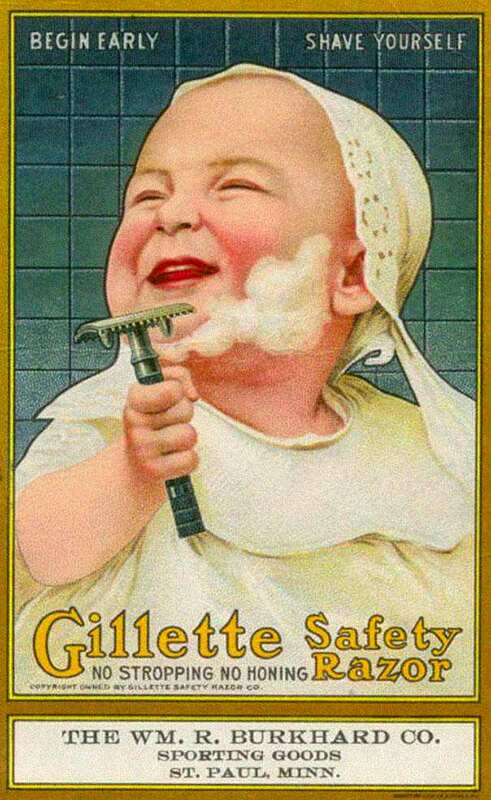 Seeing a baby holding something that could be used as a weapon definitely wouldn’t encourage anyone to buy a razor today. 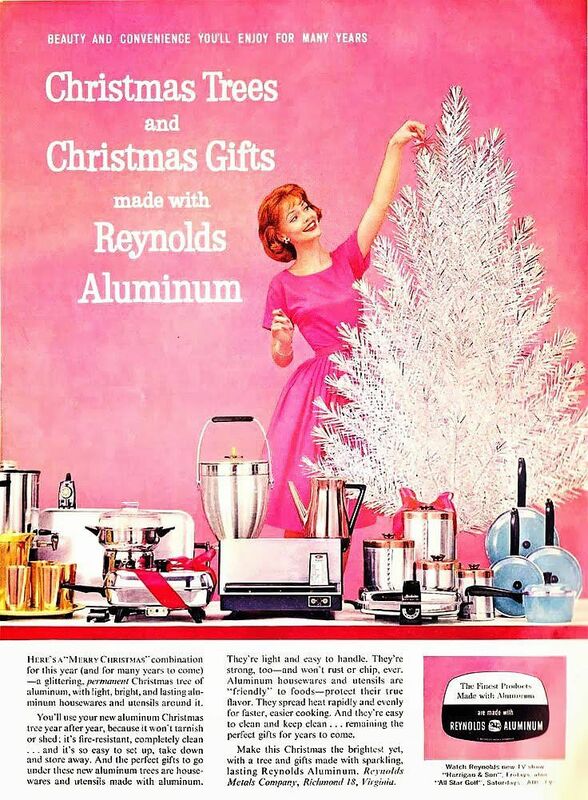 This strange vintage advert shows a woman decorating an aluminium Christmas tree. It’s called beautiful and convenient, but it isn’t exactly natural looking! 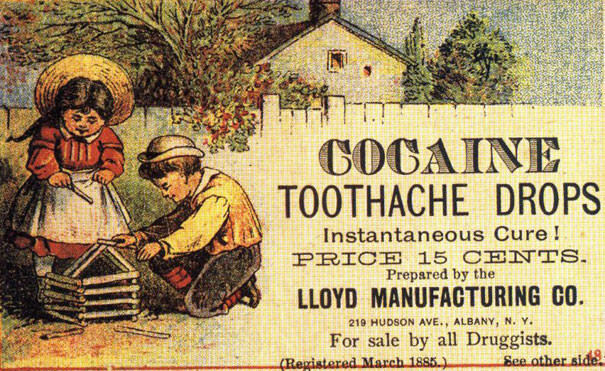 We’ve got a feeling that these toothache drops weren’t actually a ‘cure’ for anything, and were making just making the problem worse! 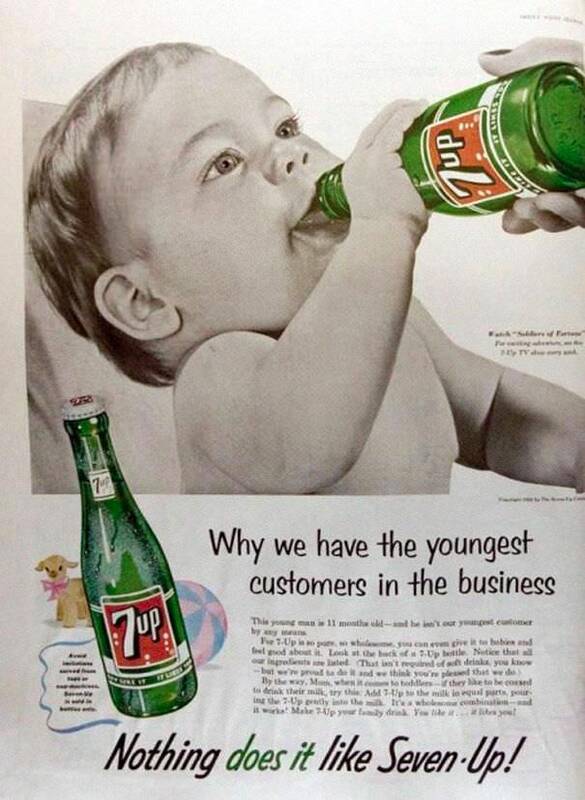 7up drinkers were encouraged to give the fizzy drink to toddlers by adding it to their milk. People wouldn’t stand for this today! If there’s one thing to put you off buying this television, it’s the scary looking puppet on the screen! 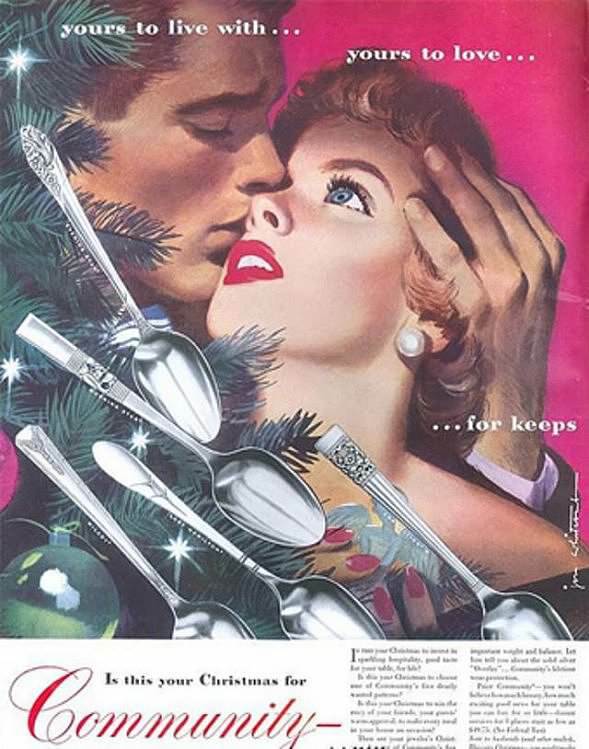 This horrible vintage ad shows silver spoons resting on a Christmas tree like baubles. It’s not clear what they’re selling but we do know we’d never buy it! Not only is the all in one garment not exactly fashionable, but the model really doesn’t do anything to help the situation. 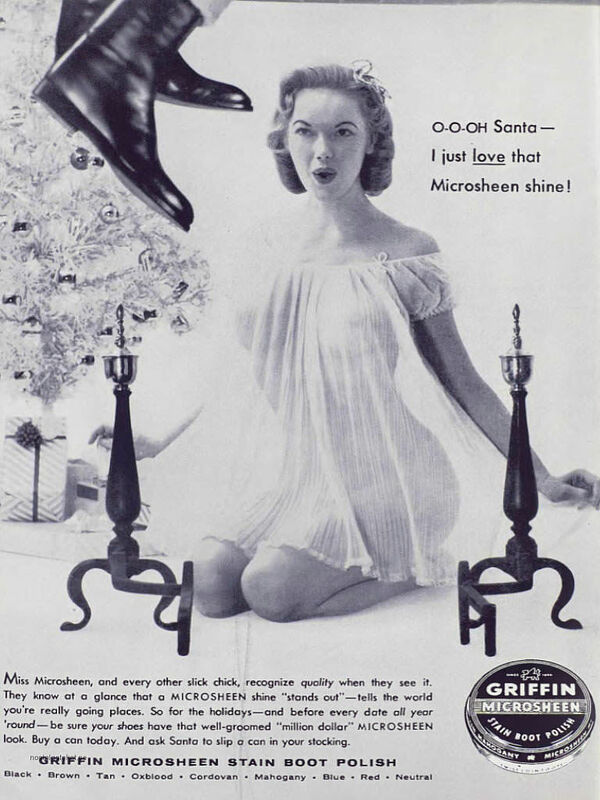 This very cheesy vintage advert is enough to stop anyone buying shoe polish! This strange advert isn’t exactly honest about where babies come from and we’d be worried that the baby might suffocate in a plastic bag. 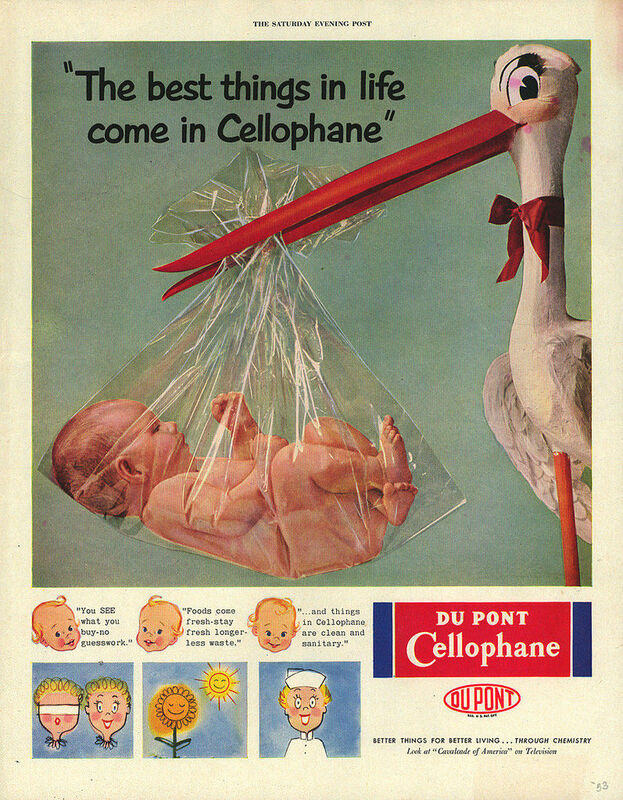 No one would buy the cellophane if it went on sale today. 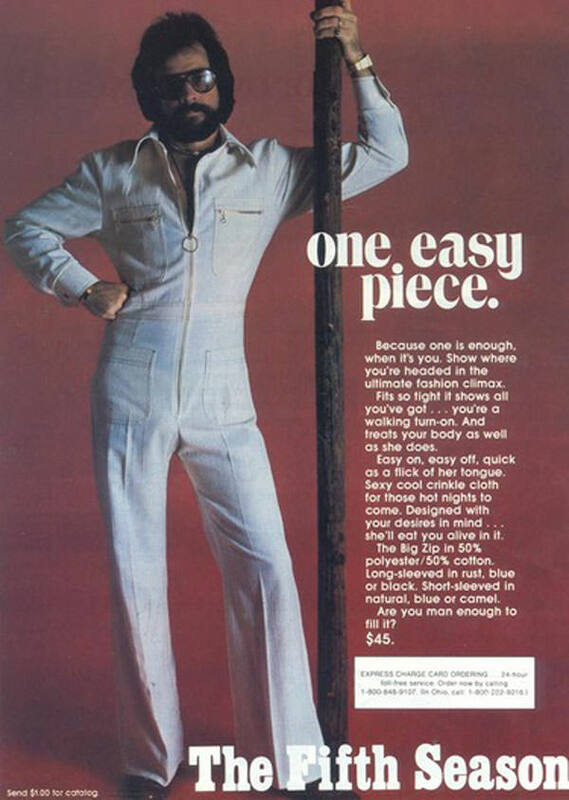 It’s surprising that they really couldn’t come up with a better name for this vintage product. Not only that, but it doesn’t sound like it would be particularly effective. 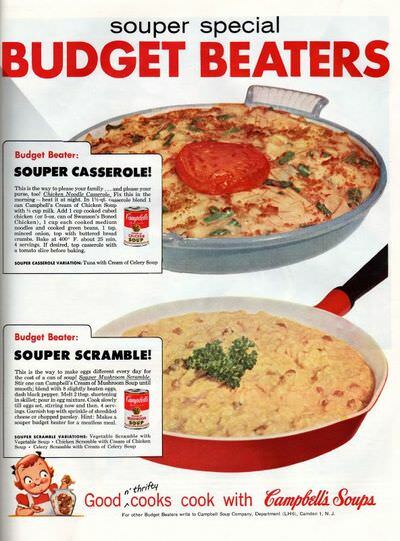 We don’t think anyone today would be made hungry by the thought of cooking a casserole from tinned soup or a mushroom scramble (whatever that is). These strange dishes can stay in the past! Unfortunately, today no one in the world wants to look like Bob, Paul or Steve. 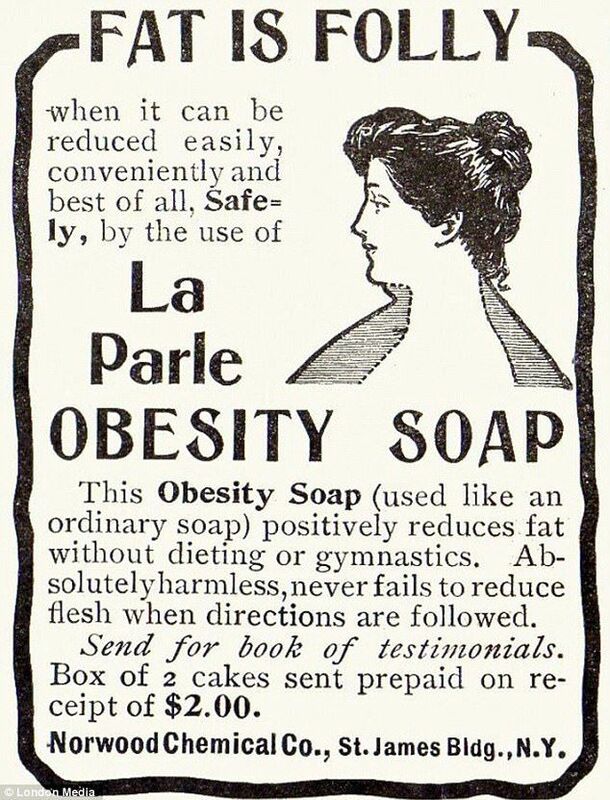 It’s hard to understand exactly why people would want to be as fat as pigs, but this product seems to have been popular during its time. 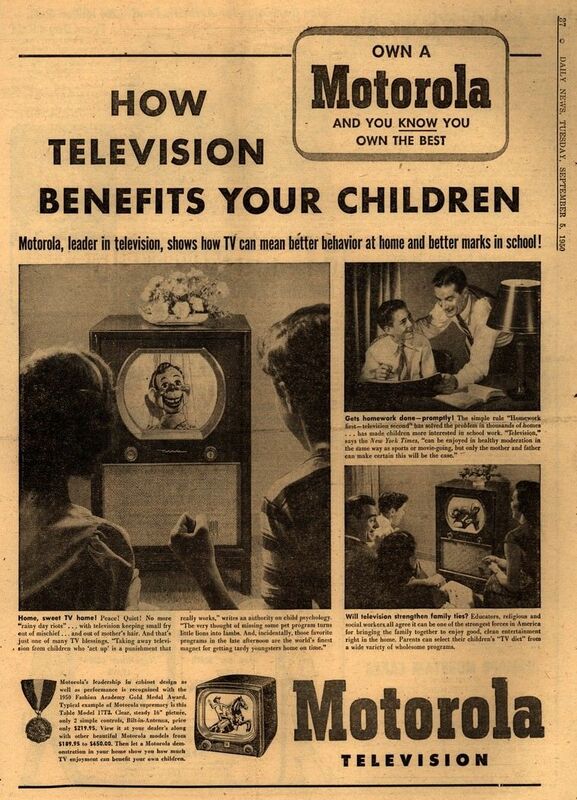 However, if it was brought back to the market they definitely couldn’t use this terrible vintage commercial ad. 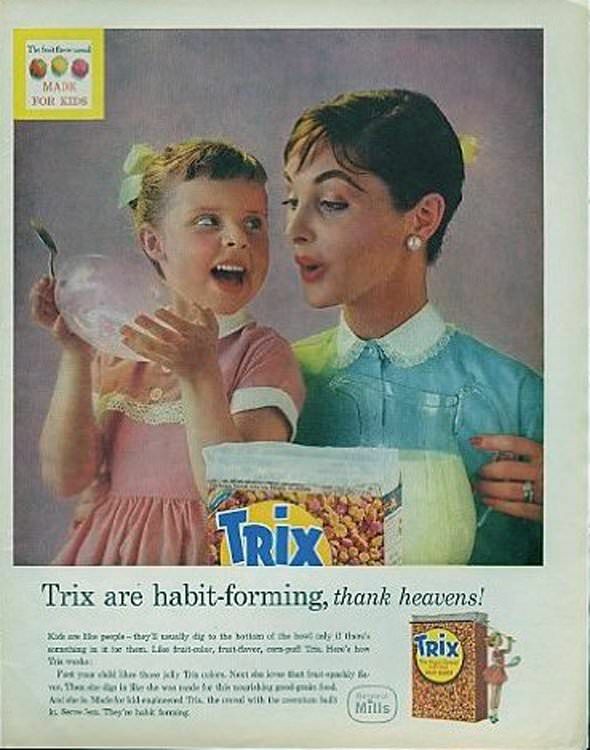 Of course, every mother wants to know that there’s the possibility of her child becoming addicted to breakfast cereal. 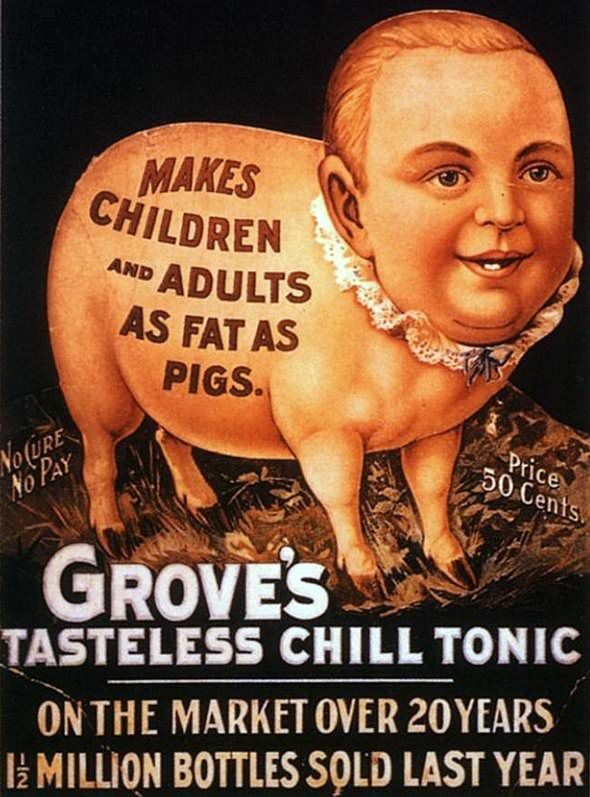 Who knows who thought this vintage advert up, but it would probably be banned today! These 6 Celebs Said They’d Quit The US If Trump Became President – Have Any Of Them Moved Yet?